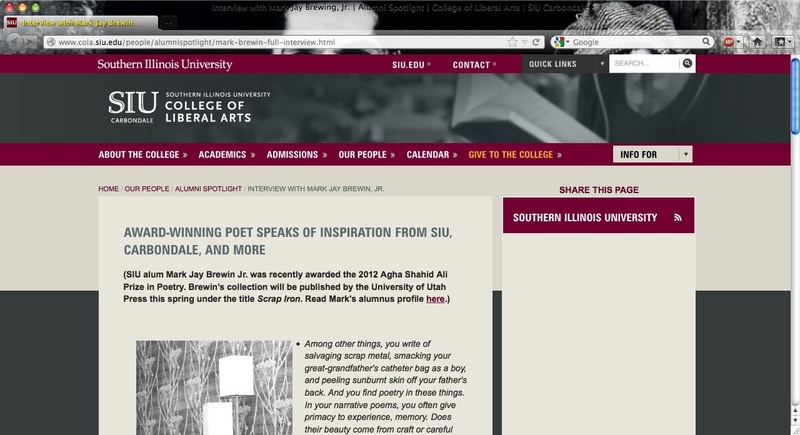 Interview for Southern Illinois University’s Alumni Spotlight Now Online | MARK JAY BREWIN, JR.
Officially up online, my SIU Alumni Spotlight is available on the College of Liberal Arts website. From there you can click on the link to the full interview with Leslie Brown. Thanks very much to Southern Illinois University for the wonderful write up and the opportunity to be featured. Check it out. Pass it along.